The first floor is a gorgeous open concept kitchen and living room, with an awesome Bar. Large outswing french doors open to a large deck with glass railings. Sit by the propane fire pit in the far pavilion. Or lite a fire in our wood-fired pit down by the water. The 3rd Floor has a 2nd bar with game room. 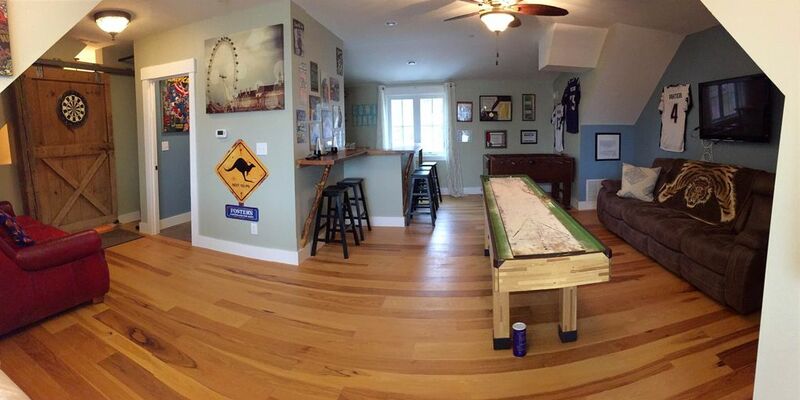 Enjoy Shuffleboard and fooseball. Come enjoy all four seasons at the lake. Swim, Boat, Ski, Skate, Ice fish and leaf peep. Come stay at my custom house built in the Fall of 2014. 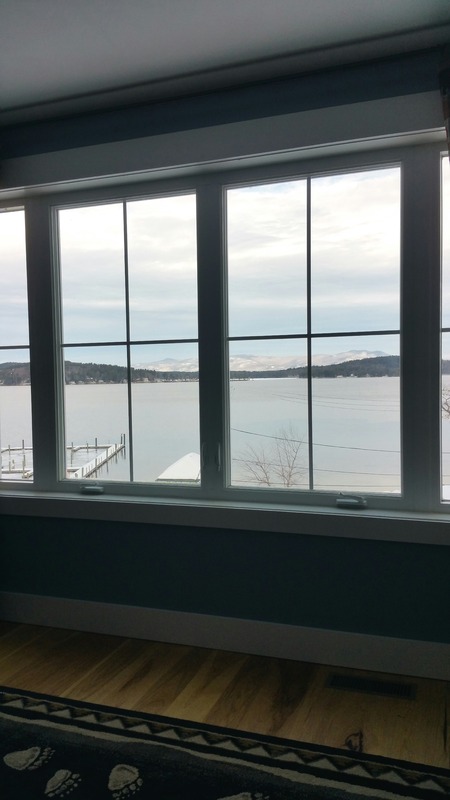 The house has spectacular views of Lake Winnipesaukee & the mountains from all three floors. A great perk to renting my home is your access to Akwa Marina in the summer months. Akwa Marina Yacht Club is a resort style Marina. Boating, fishing, swimming, hiking, shopping & dining are all within walking distance or a short drive. Akwa Marina amenities available May 15th to October 15th. Before diving into the details of the house, let me tell you about Akwa Marina. Akwa has a large beach, pool, hot tub, volleyball court, bocce ball court, two outdoor fire pits, two outdoor pavilions and a restaurant right on sight. Akwa Marina Beach Bar restaurant is located right next to the pool, so you can sit back and let a waiter deliver you spectacular food and drinks. 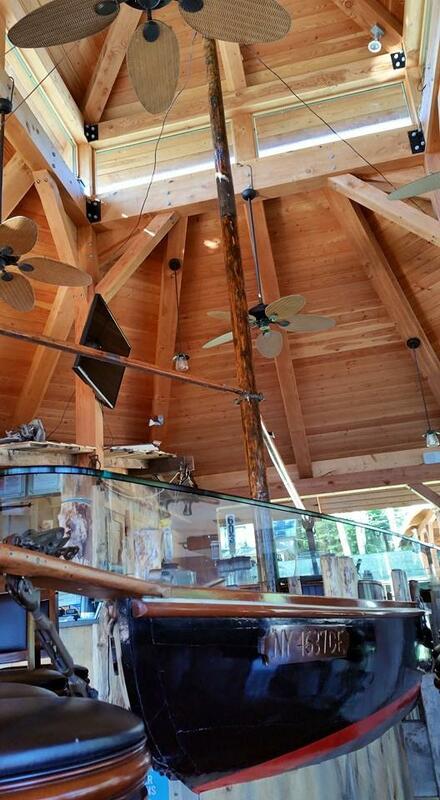 If you would rather dine in, enjoy them inside the bar while sitting at the “Annona bar”; a 28 foot wooden sailboat that was transformed into a bar. 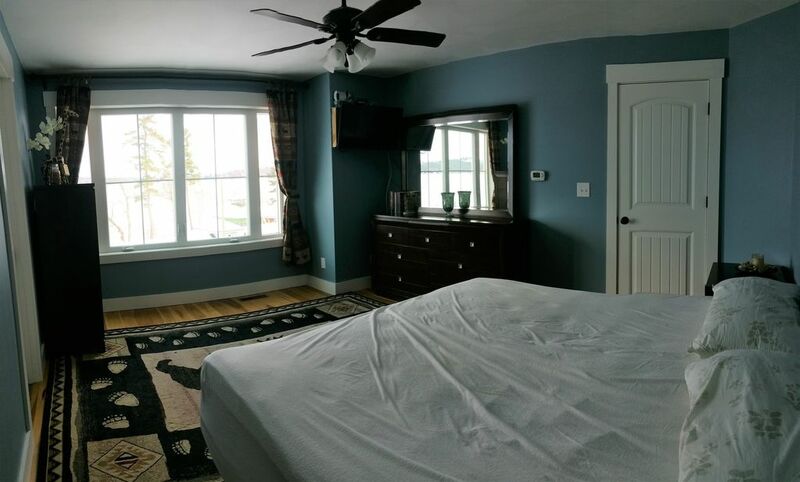 The condo is a short, two minute, walk from downtown Weirs Boulevard & beach. The Weirs has a lot to offer, from arcades and food, to shopping and mini golf. The Weirs has fireworks every weekend in the summer. The Mount Washington Cruise line runs out of the port at the weirs & has fantastic "theme cruises". 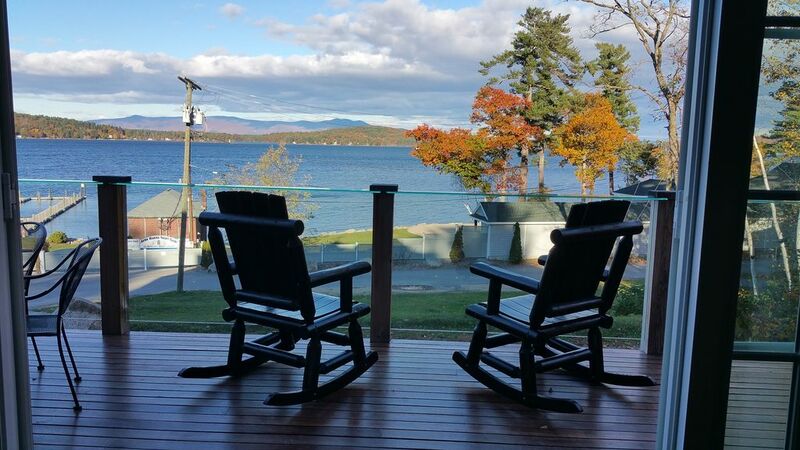 Gunstock Mountain is a 15 minute drive from door to door (Summer zip lines, monkey trunks and trails)(Winter skiing sledding ect). Funspot, the largest arcade in the world, is a half mile away and is great place to take children (mini golf ice cream, monkey trunks etc.) Ice fishing is awesome in the winter, just steps outside the back door. The winning fishing derby fish was caught out in front of my place back in 2011 and 2012. My home is a 5 minute drive to downtown Meredith, a perfect location for a family gathering or an intimate date night with a lot of cozy restaurants. Meredith is also a great place to go for a walk or shopping. Built in 2014, this home was designed to resemble a New England barn with red cedar shake siding and a large copper cupola. The property sits on a hill overlooking Meredith Bay. Open the double doors and step out onto a large deck with glass railings to maximize the view. BBQ and relax on the deck. You can see Governor's Island and Spindle point working your way north down Meredith bay. This large 2400 Square ft, three story home was designed to entertain. Open space first floor with a large kitchen (all new appliances) and a cozy bar with a brick wall to its back. The majority of the furniture I built by hand. Real elegance and if you like woodworking you will be a huge fan. 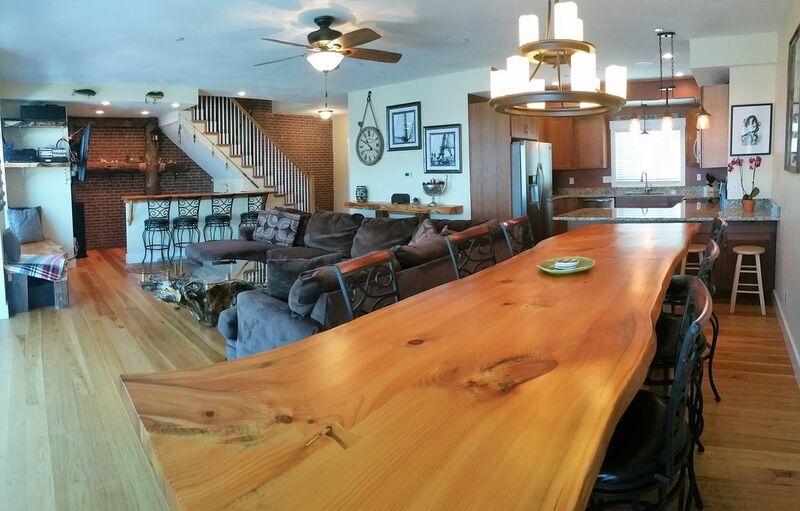 The dining room table is awesome with a huge live edge pine wood top. This table was made for a king and is great for entertaining large groups. It's eleven feet long and can seat 8+ people. A large wrap around couch on the first floor is ideal for late night movies (huge tv) or just enjoying the view of the mountains and water. The couch surrounds another piece of furniture I built. A large tree-stump coffee table. It's quite a sight. The first floor has surround sound and outside deck speakers as well. The second floor has 3 bedrooms. 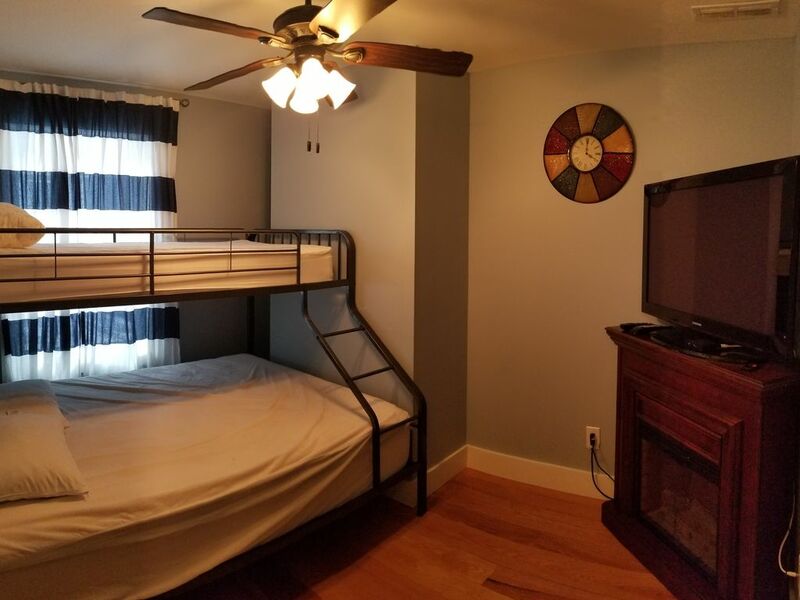 The third floor is a bonus bedroom and combined game room. 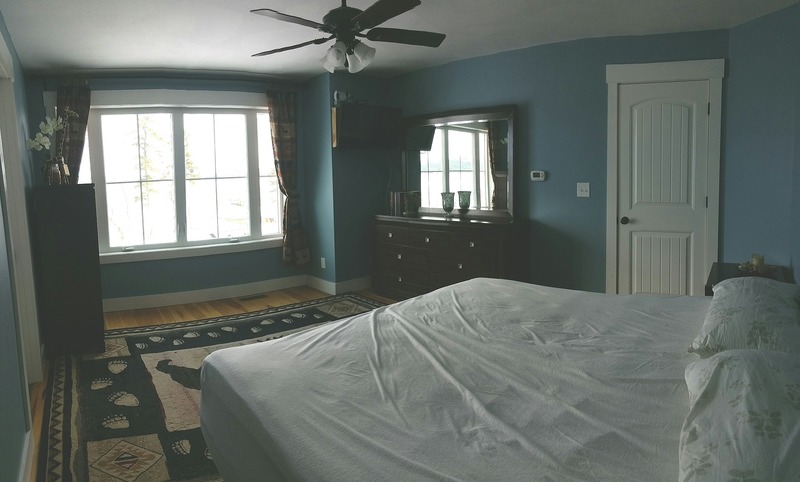 A Shuffleboard table, foosball table, tv, additional bar with sink & mini fridge, as well as a full bath on the third floor make it a great entertaining room or the sliding barn door can provide privacy to the guests sleeping on this floor. The home has 4 bathrooms, central air conditioning, parking for 2 cars in front of house and additional parking across the street. 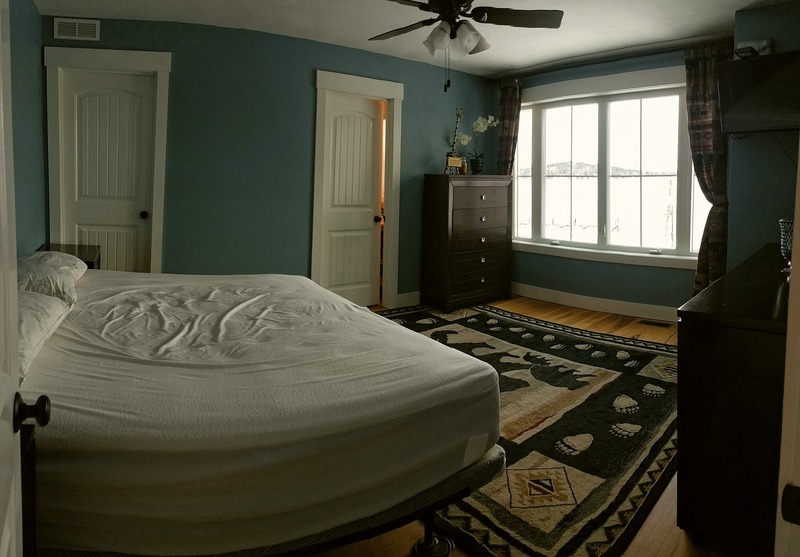 Master bedroom: King size bed, on suite 3/4 bath, bureaus to store clothing, ceiling fan, TV and great views of the lake. Bedroom #2: Twin over queen bunk bed, electric fireplace, ceiling fan, TV, and closet. Bedroom #3: Queen bed , with closet, and ceiling fan. Bedroom #2 & #3 have a shared 3/4 bath down the hall from the bedrooms. The third floor: Open spaced game room/bedroom. It has a full sized day bed with twin trundle below. Full bathroom, bar, TV and the best views in the house. Close the barn door and this floor is a junior suite! 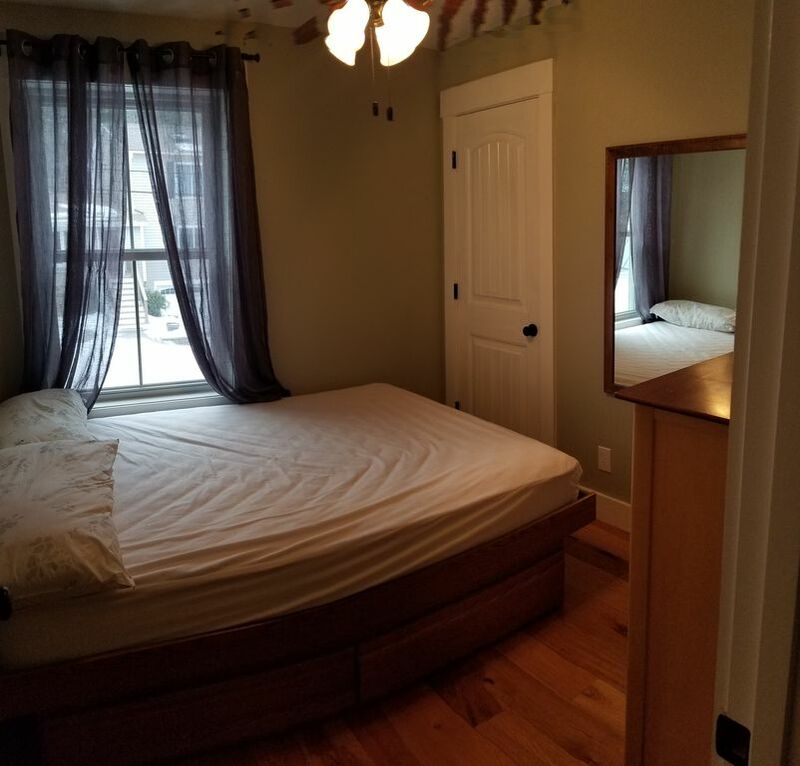 Other amenities: WiFi, HVAC (3 zones), outside deck furniture, grill, Four TV’s in the home one with (Netflix, and Hulu) Master bedroom and queen bedroom both have cable tvs. All bedrooms have fans. Wide plank hickory flooring throughout entire house. 4 Bathrooms (1/2 bath, 2 x 3/4 baths and one full bath). Renting my home will allow access to a beautiful sandy beach, fire pits, outdoor pool, hot tub, volleyball court, Akwa Marina Beach Bar & transient docking slips, plus so much more. * You supply your own bed linens, Bed Blankets, towels, and toiletries. 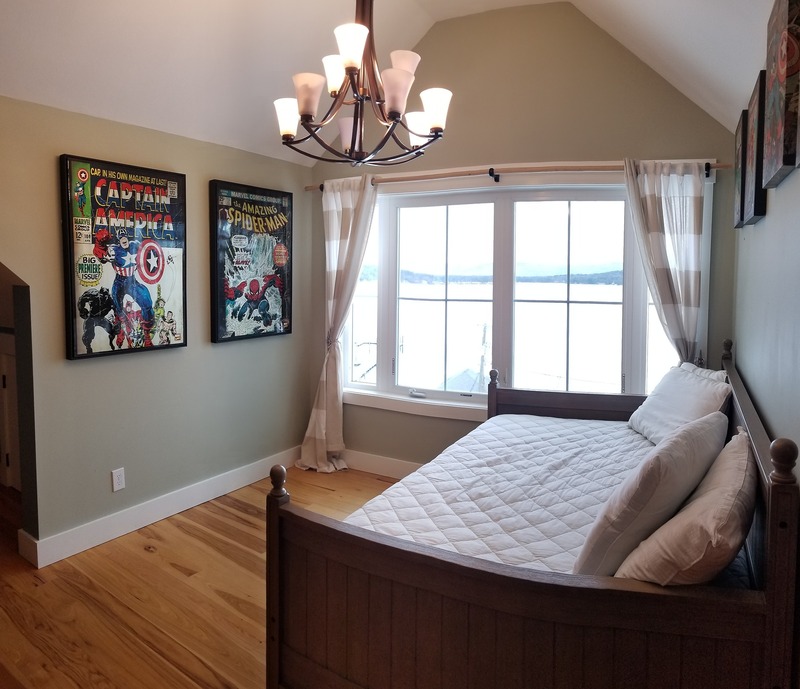 Family friendly & the prime spot to be if you want to truly experience all Lake Winnipesaukee has to offer!